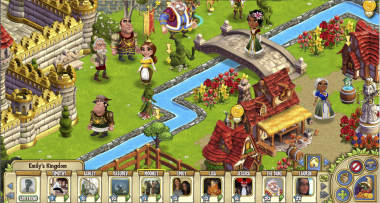 Zynga’s CastleVille Has Stormed CityVille — But Can It Last? CastleVille, Zynga’s newest social game, appears to have topped CityVille for attracting the most players on its first full day. The game, which launched last Monday, shifts the scene of its company’s hit Facebook franchise to medieval times, following ’Ville themes based on city life, the Wild West (FrontierVille) and farming (FarmVille). Zynga has declined to provide specific figures for the new launch, citing its quiet period before its upcoming initial public offering. Facebook also declined to comment. But, according to publicly available information on AppData, players are now flooding CastleVille’s undiscovered lands for the chance to build their very own kingdom. On its first full day, CastleVille attracted 460,000 players. That easily beats CityVille, the next most recent game in the franchise. On CityVille’s first full day, about a year ago, Zynga said the game attracted 290,000 residents. Prior to that, FrontierVille attracted roughly 116,000 players on its first day of play. 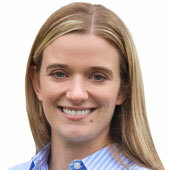 Leading up to to launch, CastleVille had a few shorter play availabilities, but those typically don’t count, since companies often use them for testing, AppData said. The official numbers, if Zynga reports them, may end up being different, but generally, the figures that are publicly available show that the game is headed in an upward direction. By the end of the week, the base of players visiting the game on a daily basis had topped 680,000 players. Still, CastleVille has a long way to go. CastleVille currently ranks as Zynga’s 18th most popular title; it took CityVille less than a month to hit 69 million monthly active players, about 14 million players a day. Last week, CastleVille undoubtedly got a lift from “Good Morning America,” which gave the online game a four-minute plug. The show’s tech contributor, Becky Worley, visited Zynga’s San Francisco headquarters, where graphic artists created avatars for the show’s co-hosts, Lara Spencer and Josh Elliot. “Good Morning America” is also giving away a special CastleVille item to those who “Like” the show on Facebook. The big question, of course, is how well the game will continue to do going forward, without such noisy promotions. In fact, many of Zynga’s older games are propped up by promotions, including one featuring Lady Gaga in FarmVille, and one with Enrique Iglesias in CityVille. But, as Zynga goes public, investors will look to see if it is capable of building a brand that can attract those millions of players and stand on its own without the costly support of others.